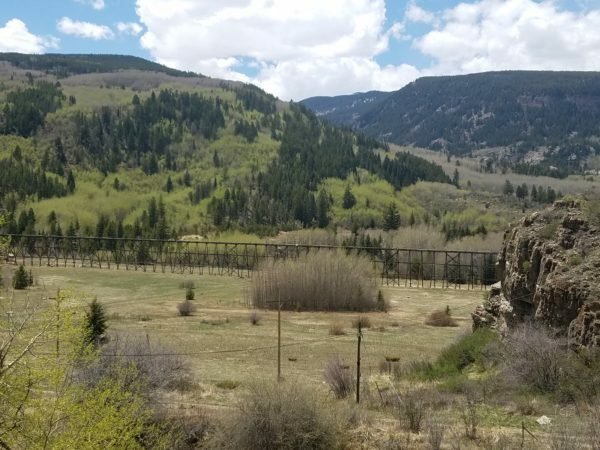 This wooden trestle south of Minturn used to transport mine tailings. Now it’s on a site where Battle Mountain Resort developers want to put homes (David O. Williams photo). Sunday, May 20, marks the 10th anniversary of Minturn’s overwhelming vote in favor of the ill-fated Ginn Company proposal for a private ski area and golf resort between Minturn and Red Cliff known as Battle Mountain Resort. While the global recession of 2009 derailed most of those plans, some aspects of the project remain in play. Here’s a re-post of an update story RockyMountainPost.com wrote for the Vail Daily that published on May 11, followed by a timeline that RealVail.com posted with a story that published back in 2008. It will be updated soon to reflected the past 10 years of developments in the saga. Tim McGuire, vice president of development for Battle Mountain Resort, confirmed on Wednesday that the company has a reached agreement for an Administrative Order on Consent (AOC) from the U.S. Environmental Protection Agency that will allow remediation work to begin near Maloit Park in the next several months. “We’ve had an offer and we’re not under contract yet, but we’re hopeful we will be very soon,” McGuire said of Battle Mountain’s East Parcel, which is comprised of about 4,600 acres – 3,600 of those annexed into Minturn in 2008. The other 1,000 acres are in Eagle County, and the total parcel is the so-called mountain-top area that’s all east of U.S. Highway 24. Battle Mountain has been working with Minturn officials to rezone the 3,600 acres in town to allow for less dense development than was approved 10 years ago — basically 35-acre lots with no Planned Unit Development requirements. Use by right would allow one home with its own well and septic on those 35-acre or larger parcels. Battle Mountain is retaining the Rex Flats, Maloit Park and Bolts Lake areas just south of town, where it hopes to one day build 700 units of “market-rate” housing on just over 500 acres. That area, which still requires some remediation of old mining waste by covering it with soil, was originally approved for 700 units on just over 500 acres, plus a 13-story hotel, golf and commercial space. But plans for all but the homes have been scrapped, McGuire said. On May 20, 2008, the entire 5,300-acre project was overwhelming (87 to 13 percent) approved by Minturn voters for a 10-chairlift, two-gondola private ski area, two 18-hole private golf courses and 1,700 homes on private land cobbled together from old mining claims. The project also included the mining ghost town of Gilman. Unless the new buyer wants it, McGuire says Battle Mountain will likely retain Gilman as well, although it is not being considered for any development at this point. Gilman was always the last phase of the previous plans because so much mining-waste remediation work is required there. The Eagle Mine area has been an EPA Superfund site since 1986. The global recession of 2009 shut down most of Battle Mountain’s plans and forced former owner Bobby Ginn of Florida into bankruptcy. Current owner Lubert-Adler listed its 4,600-acre chunk of land east of U.S. Highway 24 for just under $20 million last summer. McGuire said he could not comment further on the current offer, who the buyer is or what their plans are. Meanwhile, on its 500 acres closer to town, the EPA order will allow Battle Mountain in the next few months to start some remediation work on its land along the Maloit Park Road from Highway 24 to the fitness center near the Vail Ski and Snowboard Academy. “We’re really excited about [the EPA order] and glad to be where we’re at and get this phase of the investigatory work and the planning for what needs to be done for remediation behind us so we can move forward now,” McGuire said, praising the efficiency of current EPA staff. McGuire said that covering over a few pockets of remaining mining waste in the Maloit Park area won’t be that difficult given the area was already remediated once in the 1990s by previous mine owner Viacom. He said it’s just a matter of getting the area up to residential standards. As that work proceeds, McGuire said the company will continue to work with Minturn officials on renegotiating annexation terms since the project has changed so dramatically since initial approval in 2008. Battle Mountain in the next few months will submit a new development plan. The Ginn-owned project was on the hook to build a new water-treatment facility for the town in 2008 – among many other things – but that was when it was a billion-dollar-plus project. “It’s now not such a simple calculus, and we really have to understand, no matter if it’s Battle Mountain or developing our core, or Dowd Junction, Maloit Park, or anything else that comes along, we have to know how to make our water future work,” said Minturn Mayor Matt Scherr, making it clear he was speaking as a Minturn resident and not in an official capacity. � 1992 – Vail Associates, as it was known at the time under the ownership of George Gillett, purchases a 50-percent development option on the Gilman tract between Minturn and Red Cliff southwest of Vail Mountain. The $4.5 million, in part, funds the acquisition efforts of Denver lawyers Michael Page and Jim Aronstein, who are steadily patching together a huge tract of old mining claims. � 1994 – Vail Associates begins public Snowcat tours into the Blue Sky Basin expansion area (later Blue Sky Basin) in order to garner community support. � Feb. 22, 1994 – Vail Associates files a formal proposal for an 885-acre, three-chairlift expansion into the Blue Sky Basin area south of the existing Back Bowls on the other side of Two Elk Creek. � May 30, 1994 – A coalition of environmental groups announces it has enlisted legal help to formally oppose Vail’s Blue Sky Basin expansion. � August, 1995 – Vail Associates for the first time publicly acknowledges its financial interest in the Gilman tract in a series of articles published in local newspapers. � May, 1998 – Turkey Creek and Vail appear close to an agreement on the future of the Gilman tract when Turkey Creek partner and Denver attorney Jim Aronstein proposed developing the area around Bolts Lake and conveying the upper benches of the parcel to a public trust for at least $12 million. But the ski company balks when Aronstein proposes using the conservation easement as leverage to obtain a ski connection through U.S. Forest Service land, a politically sensitive issue for the ski company. � Oct. 19, 1998 – Seven arson fires are set on Vail Mountain, destroying the Two Elk Lodge, damaging four chairlifts and causing $12 million in total damage. The radical environmental group Earth Liberation Front claims responsibility in the name of the Canada lynx, a small wildcat believed at one time to live in area. The costliest case of eco-terrorism in U.S. history at the time remained unsolved for years. Only recently were several ELF members convicted of the crime. � August, 1999 – Vail Resorts officials for the first time publicly acknowledge conservation may be the most appropriate use for the Gilman tract. Eagle Valley Land Trust and U.S. Forest Service officials subsequently reveal they have had discussions with the ski company about preserving the parcel. � Fall of 1999 – Minturn begins drafting a memorandum of understanding with Vail Resorts, which is ultimately approved by both parties, that gives the town final say over any lift connection between the town and Vail Mountain. The biggest concern cited by town officials at that time is the Union Pacific rail yards, which the ski company is said to be eyeing for development. � October, 1999 – Vail’s board of directors decides to exercise its 50-percent option on the Gilman tract in a bid to maintain some control over the parcel and recoup some of its $4.5 million investment. The ski company confirms its desire to pursue a conservation easement. Turkey Creek refuses the ski company’s $5,000 check. � November, 1999 – Turkey Creek, LLC, sues Vail Resorts in Eagle County District Court for breach of contract for failing to aggressively pursue development of the Gilman Tract. 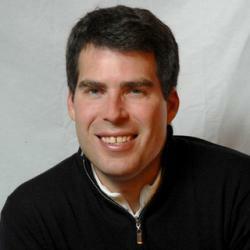 Vail Resorts counter-sues. � January, 2000 – The Blue Sky Basin ski expansion, formerly Category III, opens to the public. � Sept. 24, 2003 – District Judge David Lass finds in favor of plaintiff Turkey Creek, LLC, in its lawsuit against Vail Resorts, ruling the ski company breached its 1992 contract with Turkey Creek (a 50-percent option) by “not committing to prompt and diligent development of the property.” Lass also states Vail Resorts used the public relations value of preserving the tract as open space in order to gain approval of its Blue Sky Basin expansion. The judge rules Vail must forfeit its development option and its original $4.5 million investment. � Nov. 21, 2003 – Vail Resorts appeals district court ruling to Colorado Court of Appeals in Denver. The appeals court later upholds the district court ruling. � Jan. 5, 2005 – The Ginn Company, a golf resort and residential development company based in Florida, purchases 5,300 acres of the Gilman tract for $32.75 million, revealing that it hopes to build an unspecified number of homes on the land, as well as possibly a private ski area and golf course. � Feb. 1, 2005 – The Minturn Town Council votes against exploring annexation of the Gilman tract as requested by new owner Bobby Ginn, saying the developer had not revealed enough of his plans for the parcel. � Feb. 15, 2005 – The Minturn Town Council reverses itself and votes to explore annexation of the Gilman tract after developer Bobby Ginn reveals more details of his project. � Feb. 27, 2008 – After three years of negotiation, the Minturn Town Council unanimously votes to annex the project and proceed with final approval. � May 20, 2008 – In a referendum, Minturn voters will decide whether to uphold a unanimous Town Council decision to annex Battle Mountain, or reverse their approval, potentially sending the entire project back to the drawing board.